For a full hour, he poured lemonade. The world is a thirsty place, he thought as he nearly emptied his fourth pitcher of the day. And I am the Lemonade King. Fourth grader Evan Treski is people-smart. He's good at talking with people, even grownups. His younger sister, Jessie, on the other hand, is math-smart, but not especially good with people. So when the siblings' lemonade-stand war begins, there really is no telling who will win--or even if their fight will ever end. Brimming with savvy marketing tips for making money at any business, definitions of business terms, charts, diagrams, and even math problems, this fresh, funny, emotionally charged novel subtly explores how arguments can escalate beyond anyone's intent. 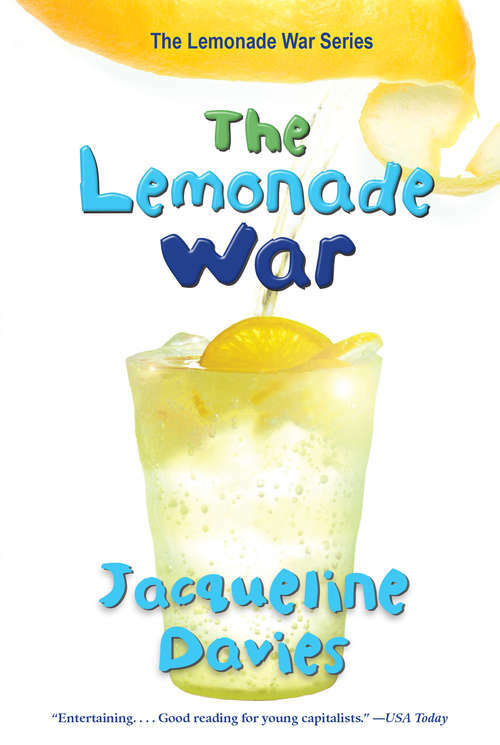 This book features a teaser chapter from book two of the Lemonade War series, The Lemonade Crime.